Looking for a reliable guide to Mexico City? You'll want one. The metropolis overflows with options for the food, art, and culture-inclined. Internationally renowned chef Gabriela Cámara, who runs Contramar, one of the most exciting restaurants (and a Gentedimontagna Favorite) in town, knows the city like the back of her hand. Who better to show you around? MEXICO CITY – I grew up in the small town of Tepoztlán outside Mexico City. In my 20s, as an art history student, I opened my first restaurant, , with a group of friends out of a desire to bring the fresh seafood I had in Mexico’s beachside towns to the capital and to create a vibrant environment where the city’s artists and creatives would feel at home. Today, I split time between my San Francisco restaurant, , and Mexico City, where this year I have the honor of celebrating Contramar’s 20th anniversary. As a Mexican-born chef, restaurateur, and strong supporter of the arts, I believe there’s no better place than Mexico City for community, creativity, and great food. Here are my favorite spots in town. 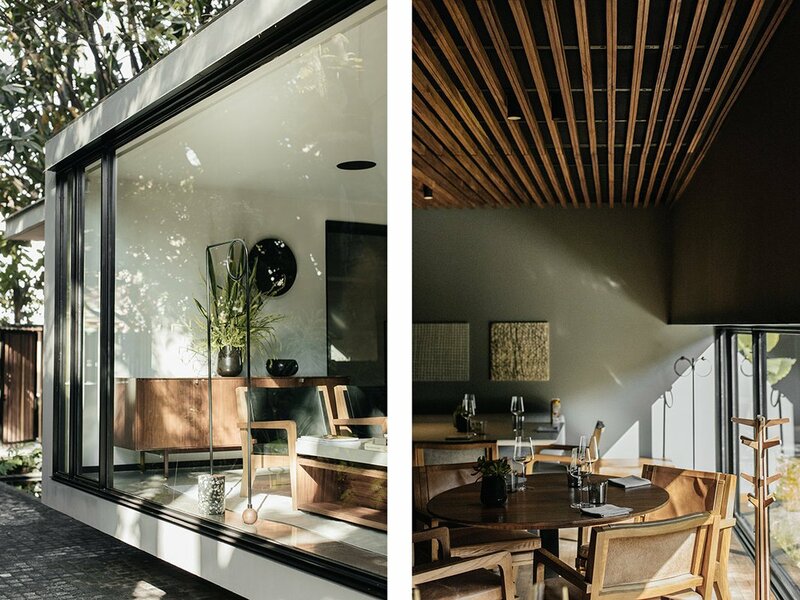 Interiors at Pujol. Photos courtesy of Pujol. A simple dish of chicken and potatoes. Photo courtesy of Loup Bar. Monday night is curry night at La Tachinomi Desu. Photos courtesy of La Tachinomi Desu. Don’t underestimate this understated, street-side taqueria. Despite its hole-in-the-wall looks, it offers some of the best cochinita pibil tacos around. What Enrique Olvera has done for our food scene is unparalleled: He’s put Mexico on the map for fine dining. The menu here changes seasonally, but the signature smoked baby corn with chicatana mayonnaise is always a shining star. For five years, chef Oswaldo Oliva was the second on board at , one of the world's best restaurants in Spain, but he has finally returned to his native city. Definitely a chef to watch, his tasting menu tells the story of Mexican ingredients throughout the seasons. 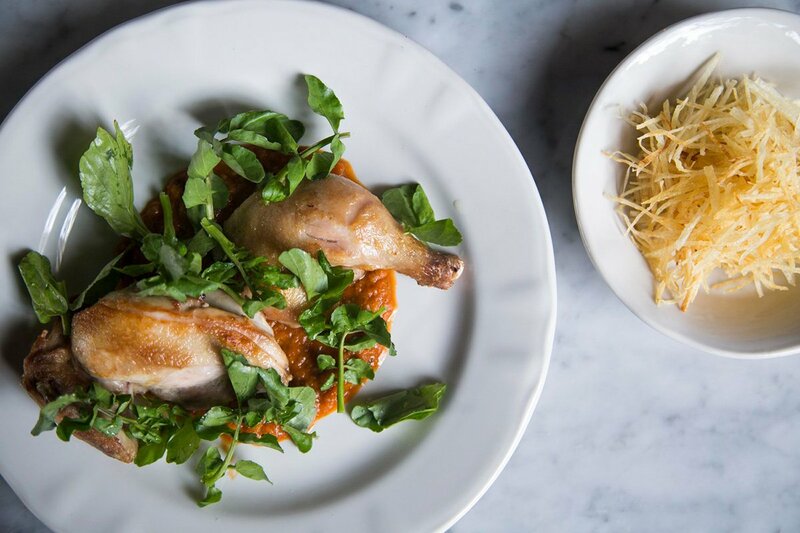 This cozy new wine bar demonstrates many of the values I live and cook by at my own restaurants: well-sourced ingredients, immediate flavors, and simple dishes. Though not all of the food offerings are traditionally Mexican, everything is made with locally sourced, organic ingredients. The cook, Joaquín Cardoso, is super talented and does a mean risotto and flank steak. Brave the line at the popular stand for improvised tortas for breakfast or early lunch. This small stand on a sidewalk serves great shrimp cocktail. This wine bar from Edo Kobayashi Hospitality Group is an under-the-radar, industry hangout — only those who’ve been know about it. 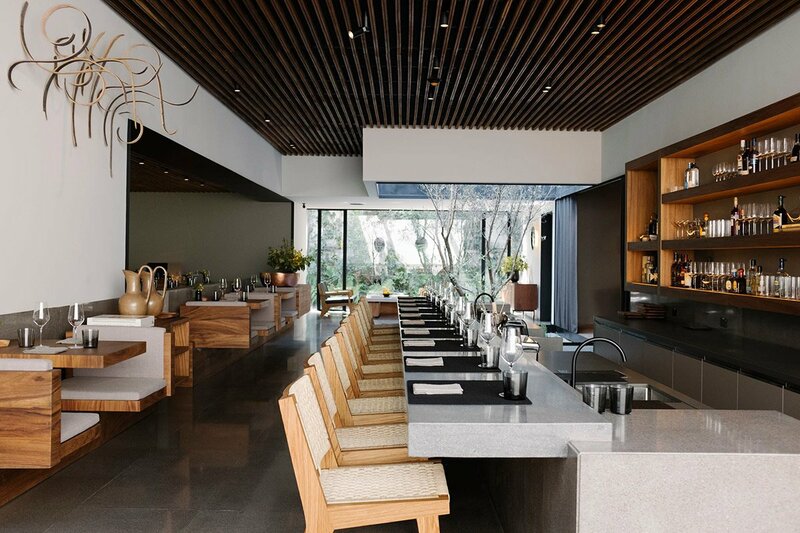 In addition to a great selection of natural and biodynamic wines, the bar offers an amazing three-course omakase. A good dive bar with an extensive mezcal list. It’s small, intimate, and no-frills, but the mezcal selection is by far the city’s best. The vibe is cool and unpretentious. It’s a popular meeting place among locals for a couple of drinks before a night out. The late-night club is my go-to for dancing and always has an excellent lineup of DJs. Hard to get in, but low-key. Various of works by Fernando Palma Rodriguez. Photo courtesy of House of Gaga. 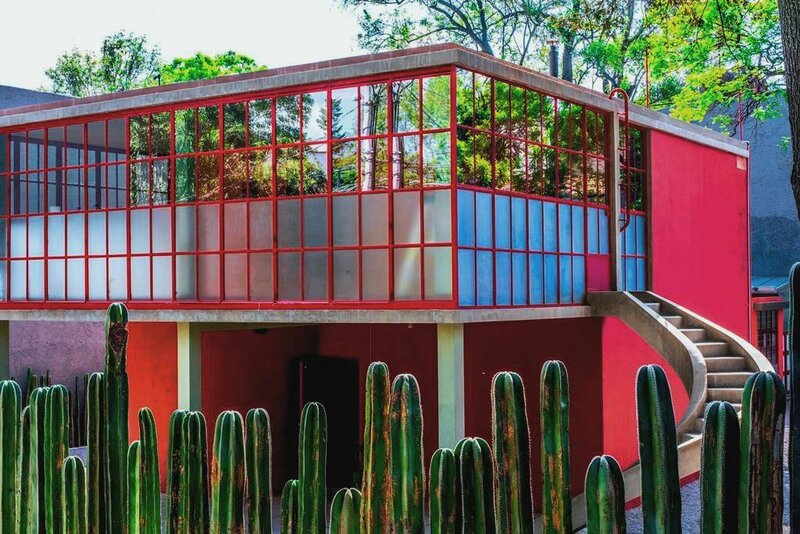 No trip to Mexico City is complete without a visit to Frida Kahlo’s former house-turned-museum. Frida remains such an icon of 20th-century culture, and her home is located in the beautiful Coyocán neighborhood. My favorite contemporary gallery, Gaga showcases work from both international artists and local rising stars. They also have a gallery in Los Angeles. 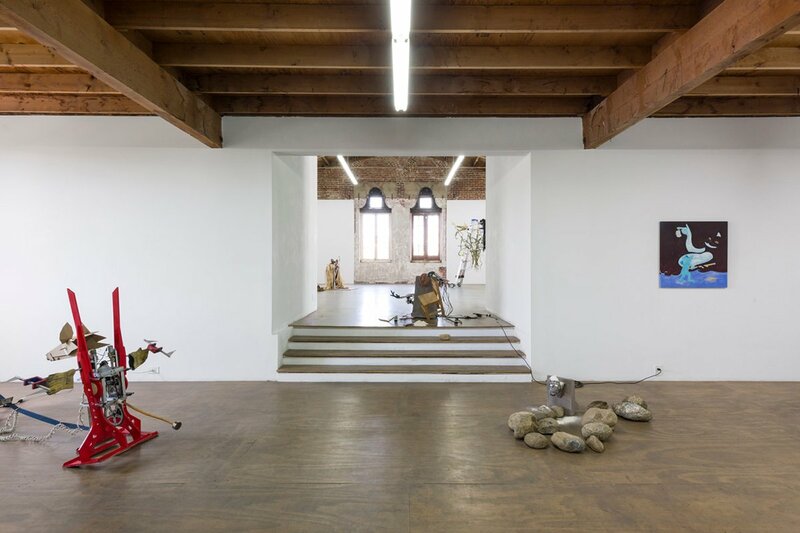 Once a nomadic gallery with pop-up exhibitions, Kurimanzutto found a permanent home in a beautiful, bright, airy space. 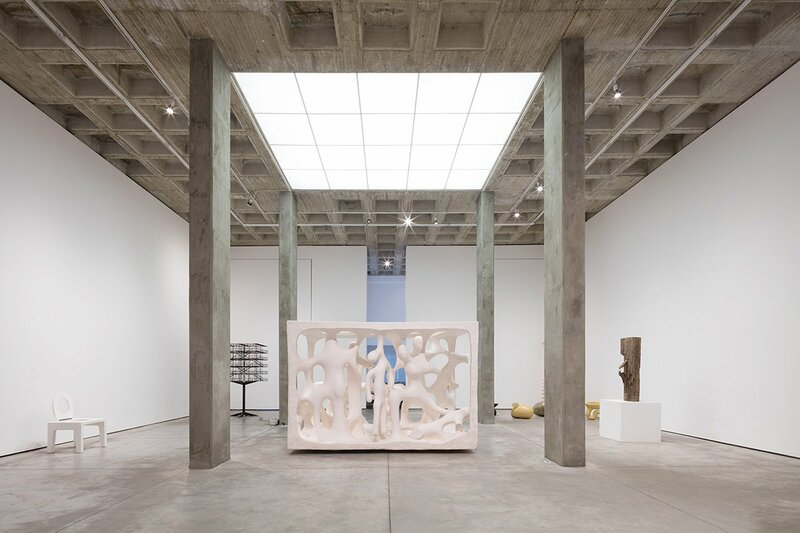 The gallery — a simple, white interior with exposed wooden beams and big skylights — is the perfect backdrop for experiencing contemporary works from local and international artists. Opened in 2012, this gallery showcases contemporary art on a variety of media. "Poly Pluto Pluri" by Atelier Van Lieshout. Photo courtesy of OMR. Photo courtesy of Museo Casa Estudio Diego Rivera y Frida Kahlo. The beautiful gallery space is known for a unique approach: They only work with artists that create their projects based on research processes. Another great option for contemporary art. 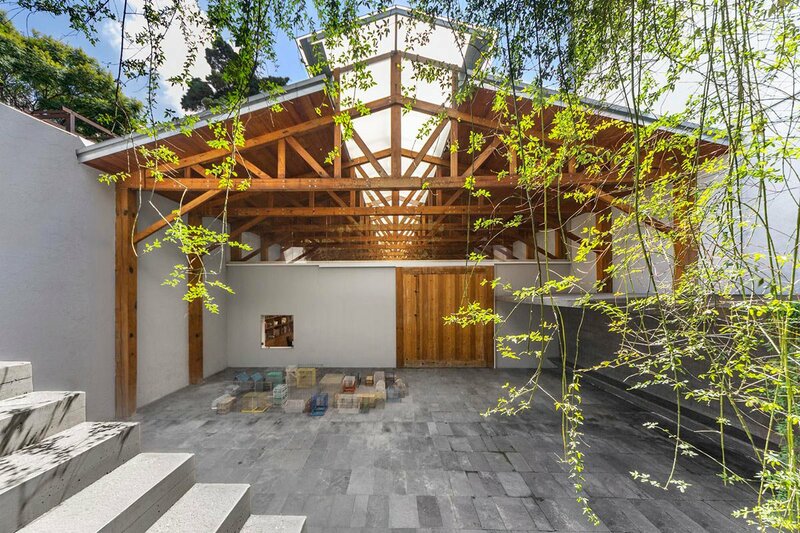 The former home of the renown Mexican architect is an incredible space that architecture fans cannot miss. 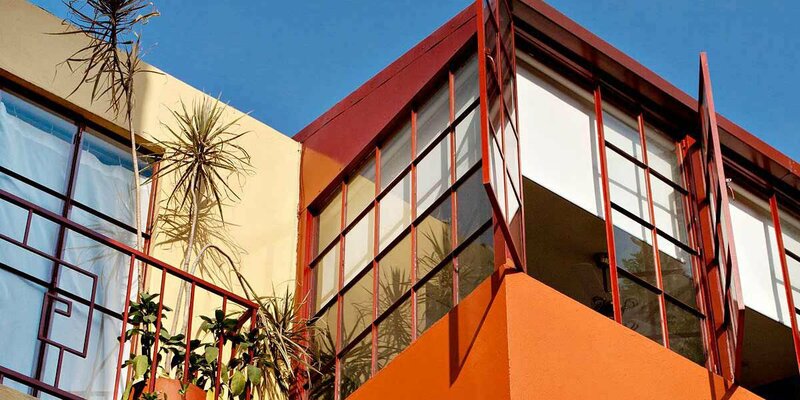 This museum lets visitors tour the two buildings that housed Frida and Diego’s studios. Designer Cala Fernández works closely with local artisans to create clothing that embodies the spirit of Mexico and the heritage of the indigenous communities. Her garments highlight bright colors, bold patterns, and intricate embroidery. 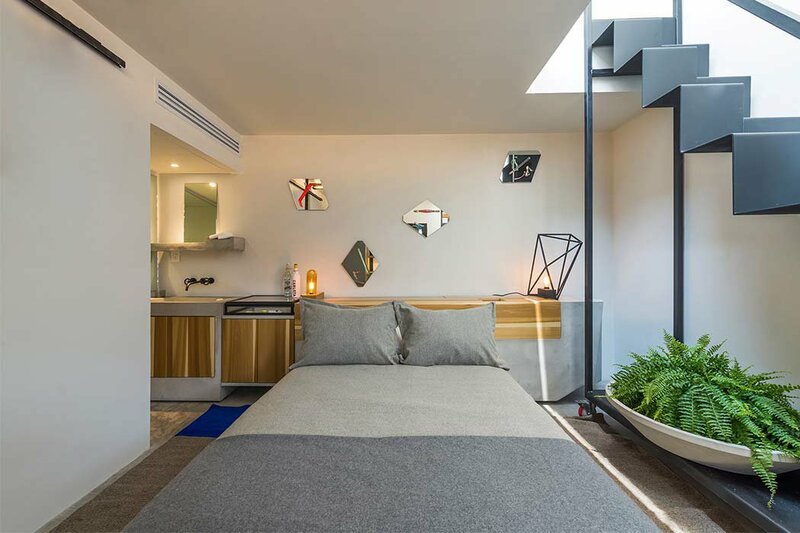 This contemporary Mexican design store has been crucial for promoting local artisans. From jewelry to furniture, you can always find artful objects here created by both emerging designers and established household names. A traditional food market in the center of Mexico City where you can find almost anything from around the country. Photo courtesy of Hotel Carlota. Photo courtesy of The Red Tree House. A nice and cozy hotel in cool Cuauhtémoc with a very good restaurant. If you’re looking for a B&B, this is the place for you. There are many inexpensive Airbnbs in Mexico City. My favorite neighborhoods are Condesa, Roma, and Cuahtémoc, all of which are walking distance from plenty of restaurants, bars, and galleries. 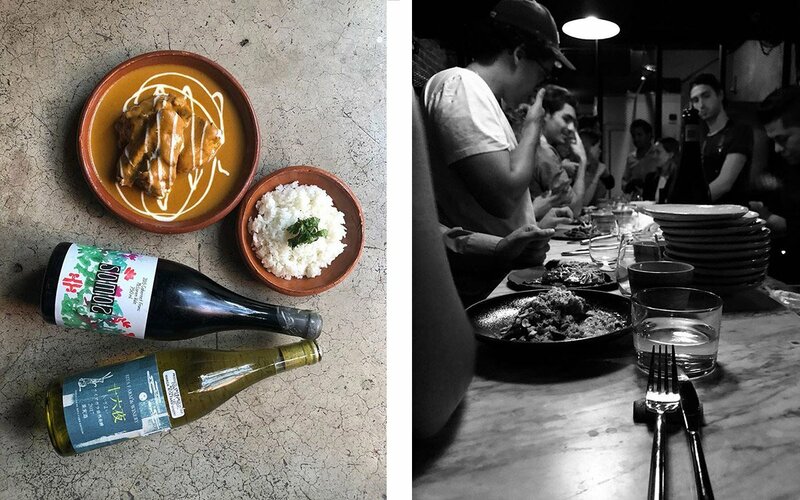 Is This Shaman Den the Coolest Place to Drink in CDMX? Gabriela is a chef, restaurateur, cookbook author, and culinary force behind in Mexico City and in San Francisco. Follow her at @truchaybacalao on . She travels for the joy of food, art, adventure, and inspiration.